Unicorn face painting stencil design. 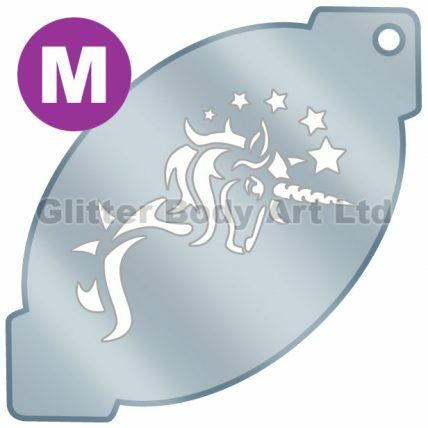 Face painting Stencils made by Glitter Body Art are made of flexible hardwearing plastic which are non-adhesive, reuseable and washable. The size of stencil is 158mm x 84mm. Please wash with warm soapy water before use.